The Bizhub C368 color laser copier features a maximum monthly duty cycle of 125,000 pages and outputs color and B&W documents at speeds up to 36 ppm. The Bizhub C368 scans up to 160 opm with Scan-to-email, Scan-to-SMB, Scan-to-FTP, Scan-to-Box, Scan-to-USB, Scan-to-WebDAV, Scan-to-DPWS and network TWAIN scan. 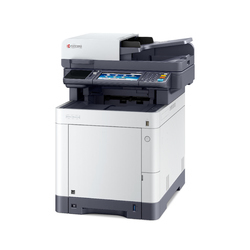 The Kyocera TASKalfa 5053ci color multifunctional system raises the bar on maximizing workflow, efficiency, productivity and security. 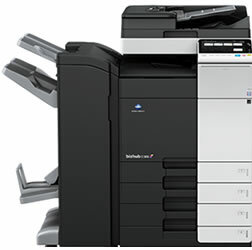 The TASKalfa 5053ci outputs color and B&W documents at 50 ppm. The 5053ci holds 1,150 Sheets standard with optional configurations up to a maximum of 7,150 sheets. 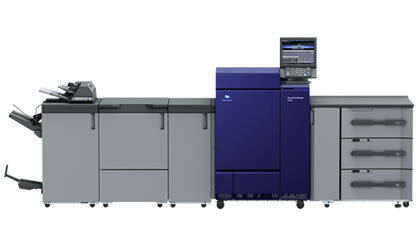 The AccurioPress C6085 Digital Color Press is a powerful way for professional print providers to boost output capabilities, color quality and cost-efficiency -- delivering up to 85 ppm full color output with automated production setup and a wide range of paper stocks and finishing options. The AccurioPress C6085 supports a monthly duty cycle of 1,530,000 Sheets, High-Capacity Banner printing and up to 13,890 sheet paper capacity. The ECOSYS M6635cidn combines impressive performance, at speeds up to 37 ppm, with advanced features, all in a compact footprint. 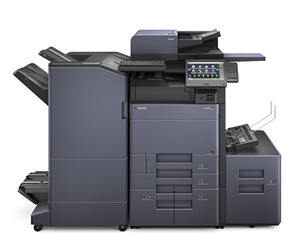 his Print, Copy, Scan and Fax solution is designed for ease-of-use with a 7” color touch screen interface (TSI). The M6635cidn supports paper sizes up to 8.5" x 14" with a standard paper tray configuration supporting 250 Sheets with optional configurations up to 1,850 Sheets. While you’ll find tremendous value when you choose Athens Digital Systems, our featured promotion is a Konica Minolta C227 digital copier multifunction system with copier, scan and print. This is a $85/month, 60 month lease with $0 down and includes a Reversing ADF and console. When Athens Digital Systems was founded in early 2001 the reason was simple. The founders had spent many years in the business and realized that there was a gap between what customers wanted in an office equipment supplier and what they were gettting. They knew that customers wanted more than just a supplier. Customers wanted someone to help them solve problems and they expected this with a high level of quality at a competitive price. It has been our dedication to providing solutions that work for you that has brought us to the point we are today. We are continuously looking for ways to improve what we do and we know that our customers will benefit from this. We look forward to the opportunity to provide you with solutions that help make your company better.